The story said, “Pink sand beaches, crystal clear waters and year-round warm weather have long drawn the rich and famous to the tiny island of Bermuda. “The chilled-out vibe offers the perfect weekend break for stressed-out Americans and a luxury getaway for travelers from the UK, while the waters filled with coral and shipwrecks provide thrill-seekers with something extra. “Keen to get away from stifling heat and hustle and bustle of New York for a few nights, I visited for the first time in July. 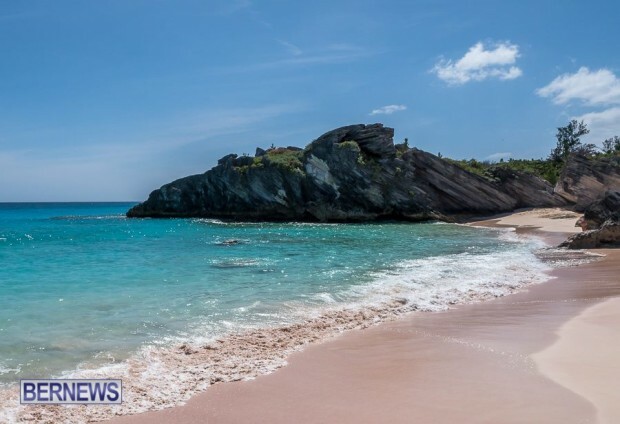 “Just over two hours away and with reasonably inexpensive flights, Bermuda is fast becoming the perfect alternative to The Hamptons for New Yorkers seeking a short break in paradise. “I stayed at The Reefs, a stunning family-owned boutique retreat with its own private beach on the celebrated South Shore. “Although the convenience of a private beach is appealing, I was keen to seek out other spots around the island. “Because of the size of Bermuda, you are never more than a mile from the ocean. A short walk away from the hotel is the famous Horseshoe Bay Beach. “A selfie-lover’s paradise, it has been ranked as one of the best beaches in the world, although it can become crowded when cruise ships dock a few miles away. “I was keen to find somewhere a little more secluded and asked the Bermudian bar staff where they would go on their days off. The consensus was Admiralty House Park in northern Bermuda. “Admiralty House Park, which was once home for British Royal Navy admirals, was wonderfully deserted, bar a few locals. You can read the full story here on Daily Mail. Do we really want more Daily Mail readers in Bermuda? Nigel Farage is more than enough. how did you ever manage to become a Family Man with an IQ like you show by leaving comments like the above? “A slice of Britain just two hours from the Big Apple”. A great tag line for the BTA to use. Very similar to “A short trip to a perfect holiday” used some years ago. Americans love anything British. Bermuda should highlight anything our customers like.